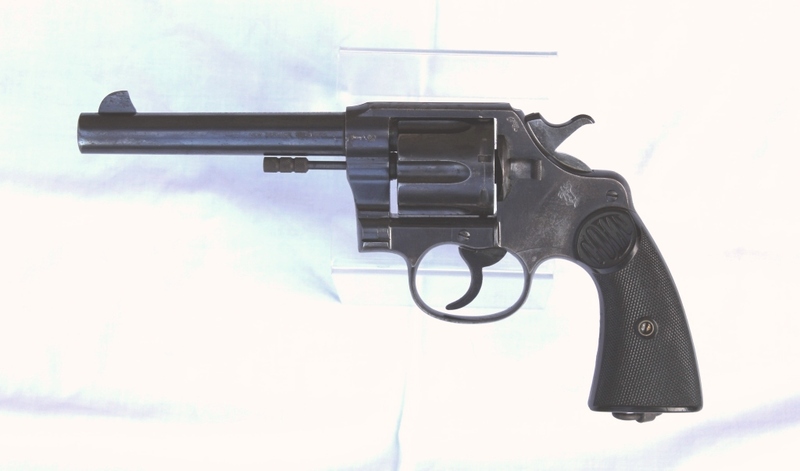 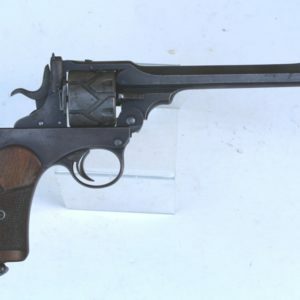 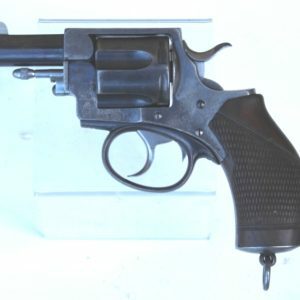 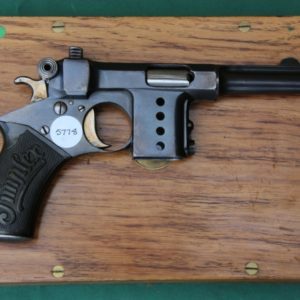 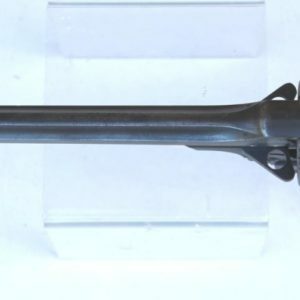 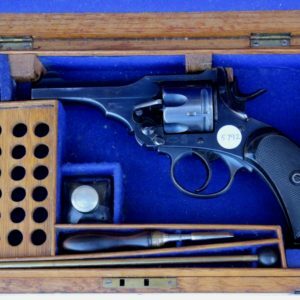 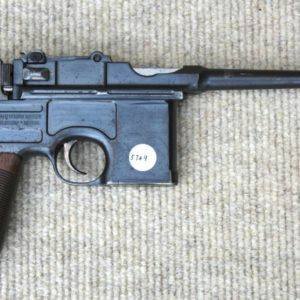 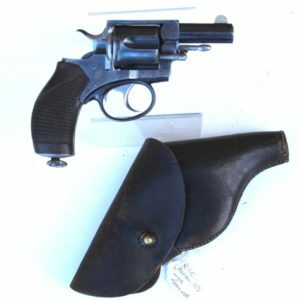 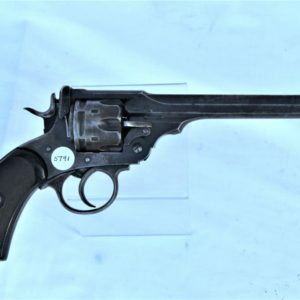 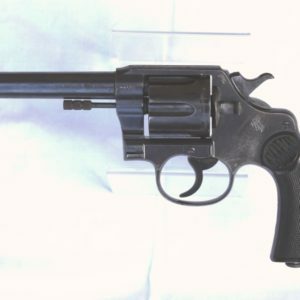 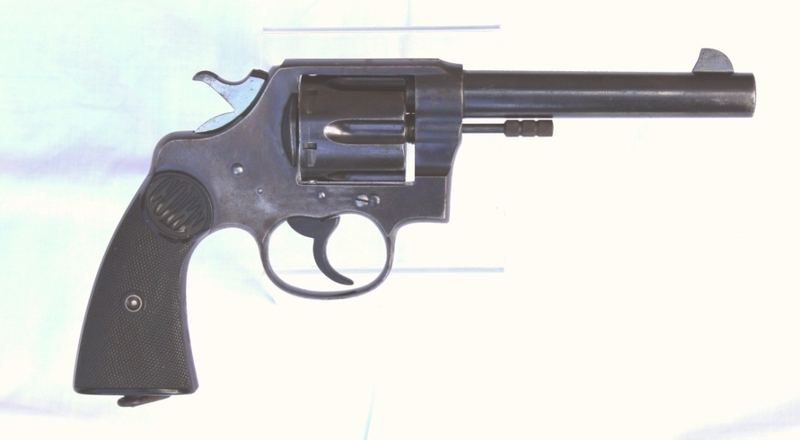 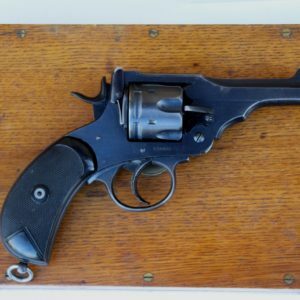 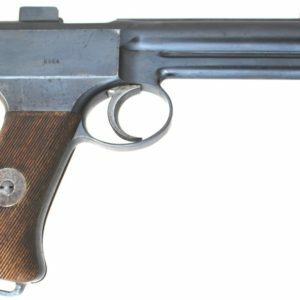 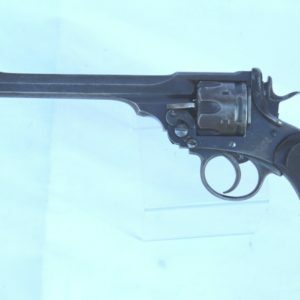 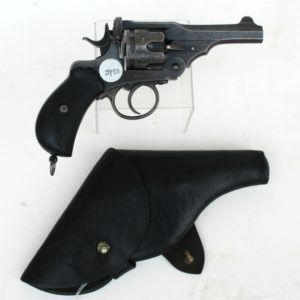 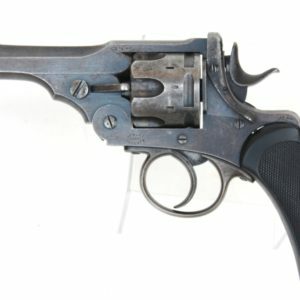 A .455 calibre Colt New Service (British Issue) revolver circa 1916, Colt address and patents to top of the barrel marked ‘New Service 455’, blue finish with Colt hard gutta percha grips. 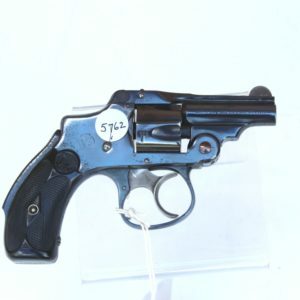 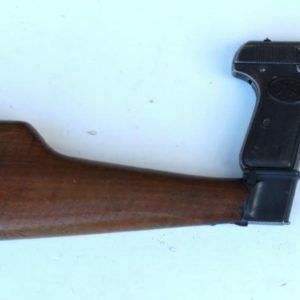 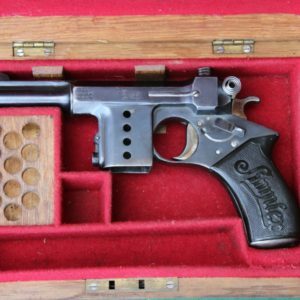 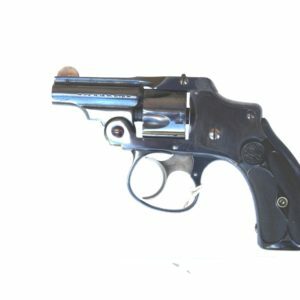 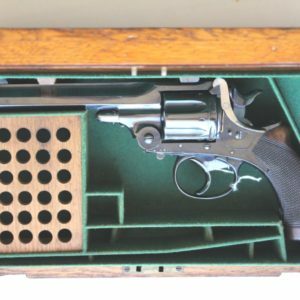 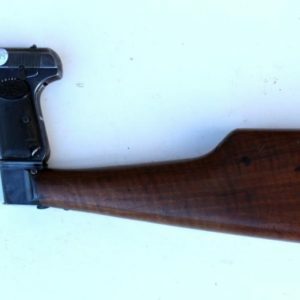 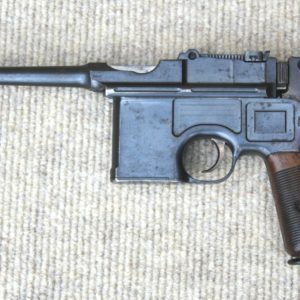 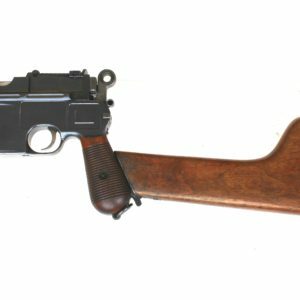 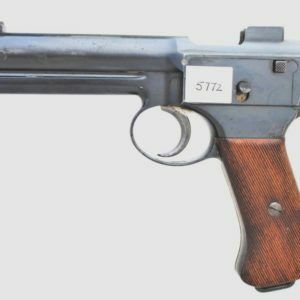 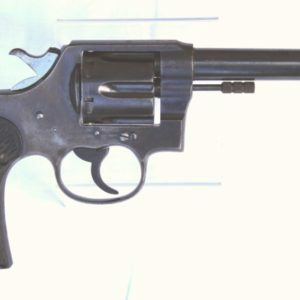 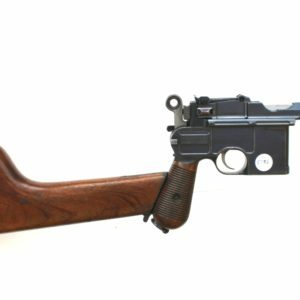 Condition: The pistol retains some 80% of its original blue finish with some scratches, small stains and wear commensurate with use. 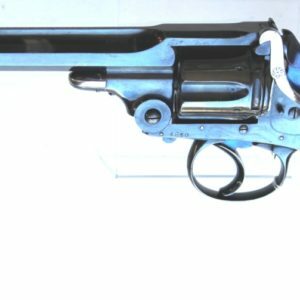 Bore is good+.